Our team of dentists are headed up by Clinical Directors Dr Andy Stafford and Dr Darren Cannell. The Cosmetic Dental Clinic is situated in the very heart of Newcastle City Centre in an elegantly converted grade II* listed building. Step into a warm and relaxing spa-like environment loaded with the latest dental technology fused with traditional architecture. 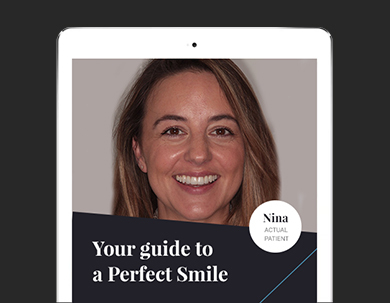 Our practice is designed to provide high quality Private Dentistry whilst maintaining exceptional value for money. Our team will help and assist you every step of the way, whatever your dental goals. The ethos of our dentistry is focused around listening and fully understanding your needs before discussing a comprehensive range of options. Our multi-disciplinary practice offers an extensive and comprehensive treatment menu. We aim to provide everything from high quality general dentistry, to complex dental transformations within our extensive city centre practice. We strive to provide a relaxed and courteous atmosphere at our practice, making a trip to the dentist a pleasure not a chore. If you would like to improve, enhance, or protect your smile please do not hesitate to contact us today. Our cosmetic dentists headed by Dr Darren Cannell & Dr Andy Stafford are complimented by highly qualified master technicians, dental nurses and hygienists. Our team’s informal approach will definitely help to put you at ease. Patient safety is always at the forefront of our mind and we operate under the strictest cross-infection control procedures. All equipment is fully sterilised between patients, using a hospital grade autoclaves, which meet the new European standards for practice sterility. In addition the members of the team regularly attended courses on sterility to stay ahead of the latest guidelines and techniques. The practice has recently installed a central sterilisation facility which conforms to the latest cross infection control protocols and is fully compliant with the CQC. We are proud to introduce our onsite ceramic CEREC 3D studio. With this technology we can offer same day porcelain crown and veneer restorations without the need for impressions or second appointments. This is the first time this revolutionary new technology is available in Newcastle. The dental team at The Cosmetic Dental Clinic have been members of the BDA Good Practice Scheme since 2009. What is a BDA Good Practice? The BDA Good Practice Scheme is a quality assurance programme for UK dental practices, The Cosmetic Dental Clinic team are very proud to have been awarded membership. By being members of the Scheme, practices demonstrate a visible commitment to providing quality dental care to nationally recognised best practice standards. By taking part, we are committed to keep up to date with current requirements in order to provide the best care possible for our patients.